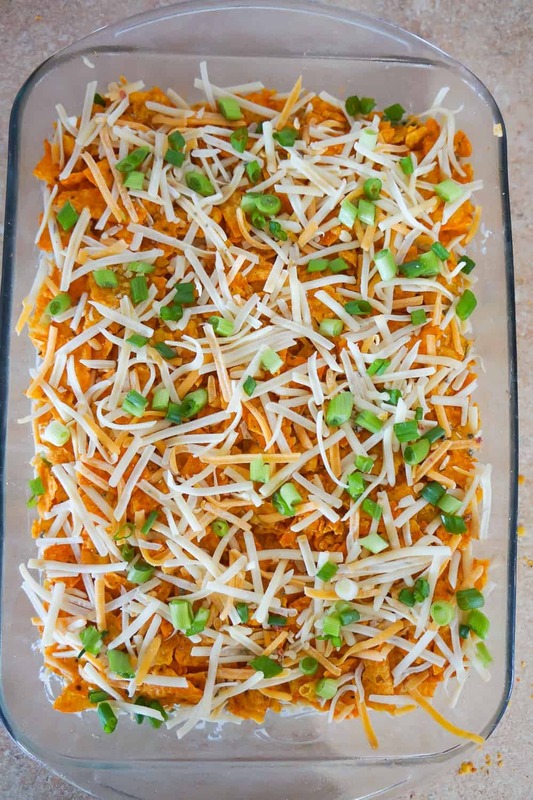 Doritos Casserole with Chicken is an easy weeknight dinner recipe using rotisserie chicken. 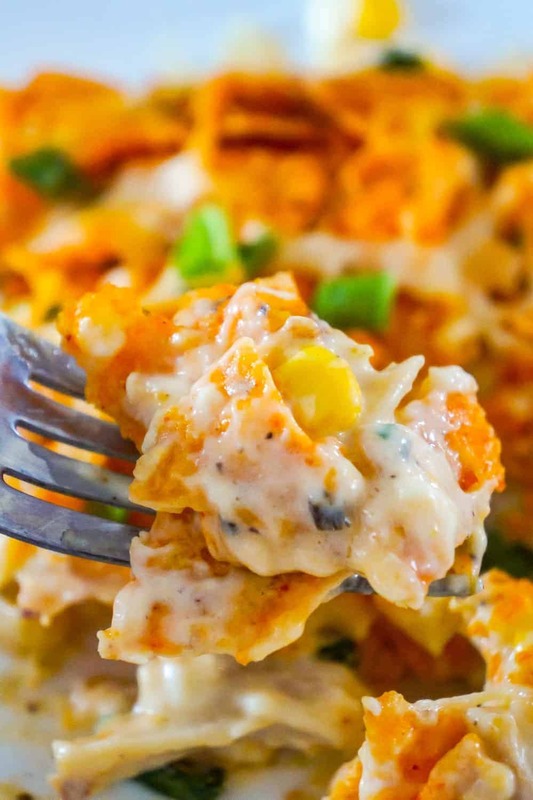 This creamy chicken casserole is loaded with cream cheese, corn, shredded cheddar and topped with crumbled Doritos. 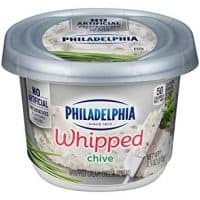 To make this Doritos casserole, I started by dumping some Philadelphia Chive Whipped Cream Cheese into a large mixing bowl with some condensed cream of chicken soup. 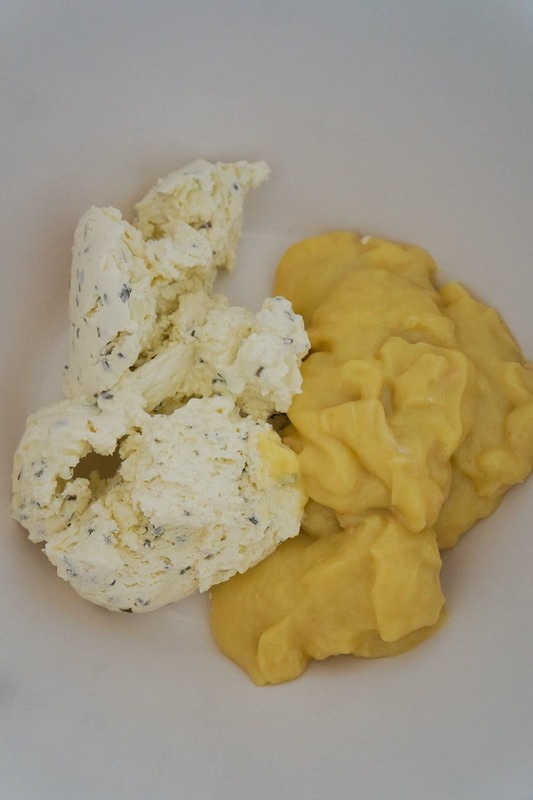 I used an electric mixer to whip together the cream cheese and chicken soup until smooth. 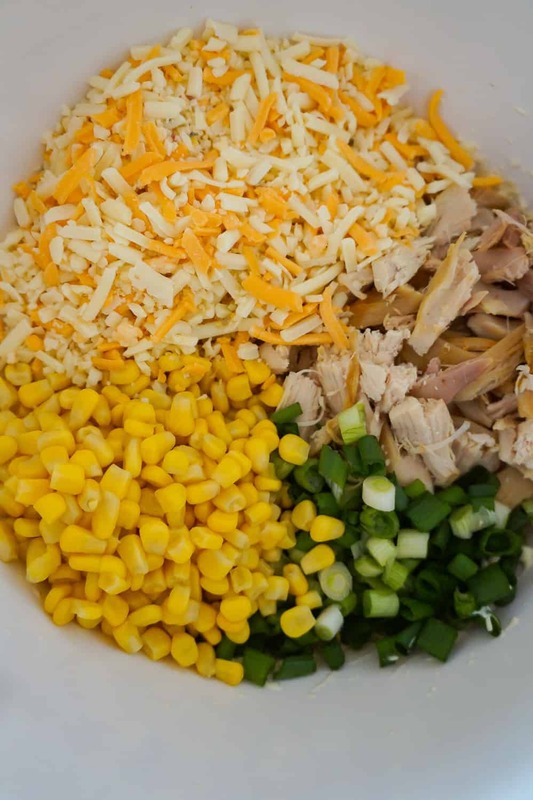 Then I added some shredded rotisserie chicken, chopped green onions, canned corn, shredded cheese and seasonings to the bowl. I used a rubber spatula to stir all of the ingredients together until fully combined. Then I dumped the mixture into a greased 9 x 13 inch baking dish and spread it out evenly. I crumbled some Doritos and sprinkled them on top of the chicken mixture. Then I sprinkled some shredded cheese and chopped green onions on top of the Doritos. I placed the dish in the oven and baked the casserole until the cheese on top was starting to brown. 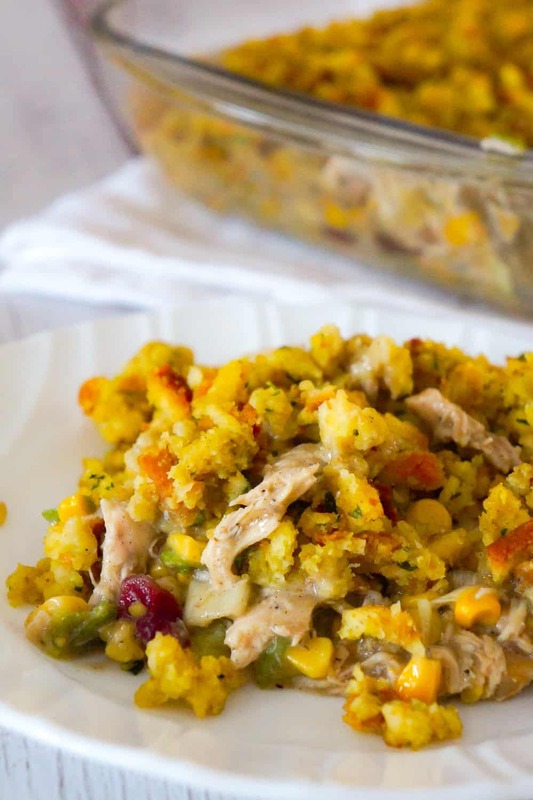 This easy chicken casserole is creamy and delicious. 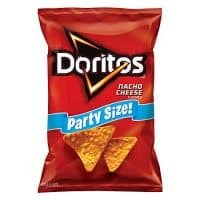 The Doritos add a nice crunch and extra flavour. 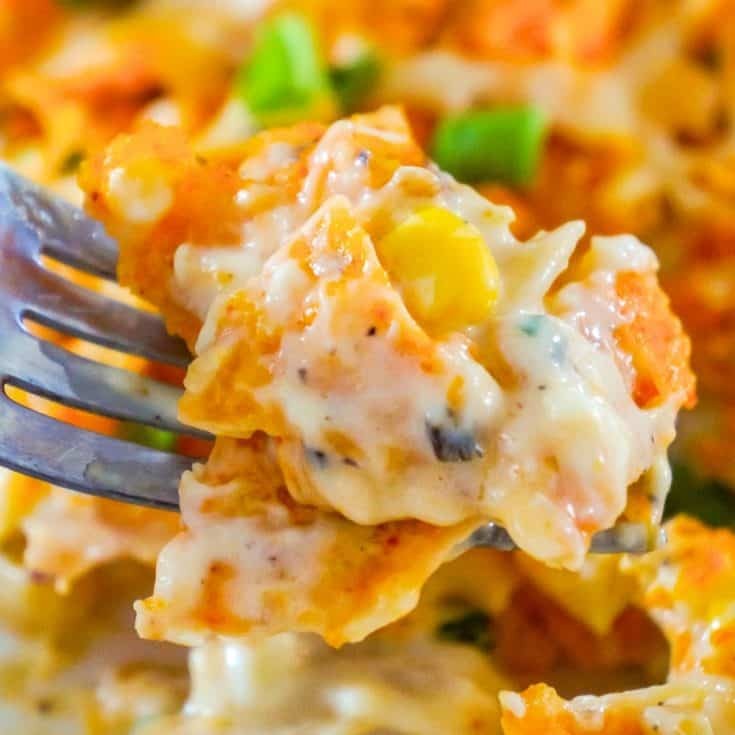 If you are looking for a tasty and fun chicken dinner recipe then you need to try this Doritos Casserole with Chicken! 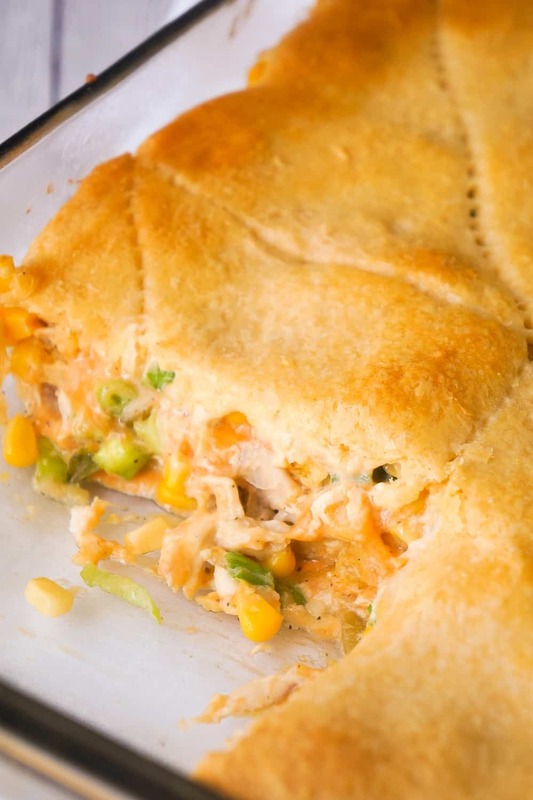 Another delicious chicken casserole recipe. 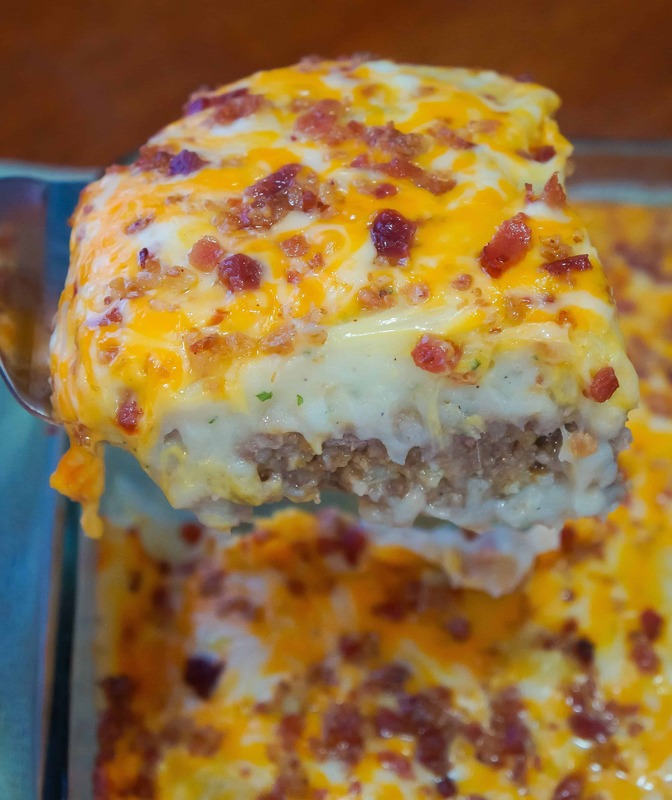 Check out this Easy Chicken and Rice Casserole! 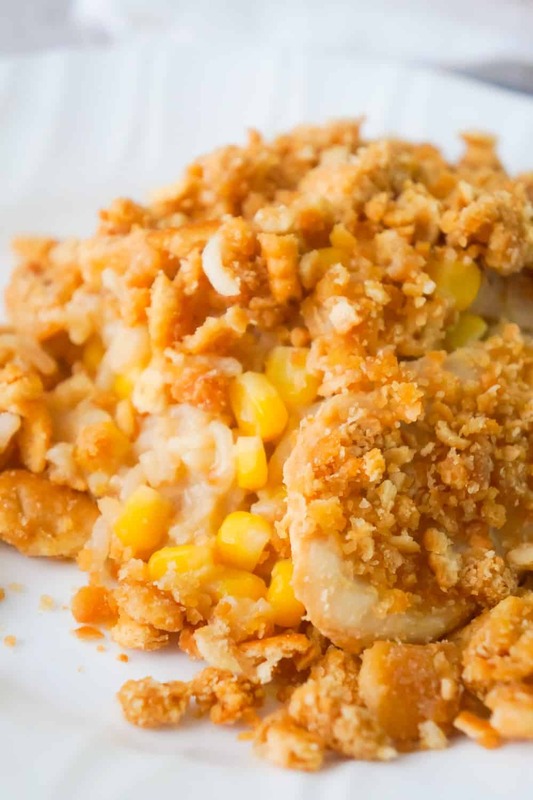 Be sure to also check out this Fritos Chicken Casserole! 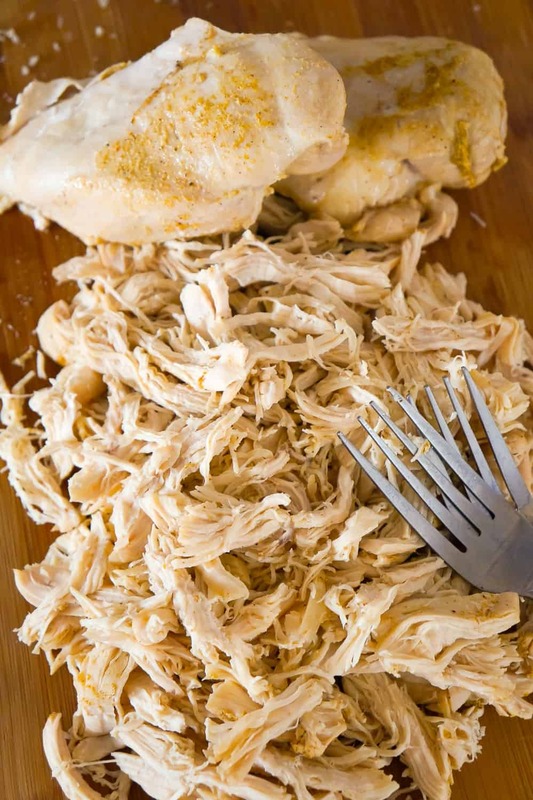 Another tasty recipe using rotisserie chicken. Check out these BBQ Fritos Chicken Sandwiches! 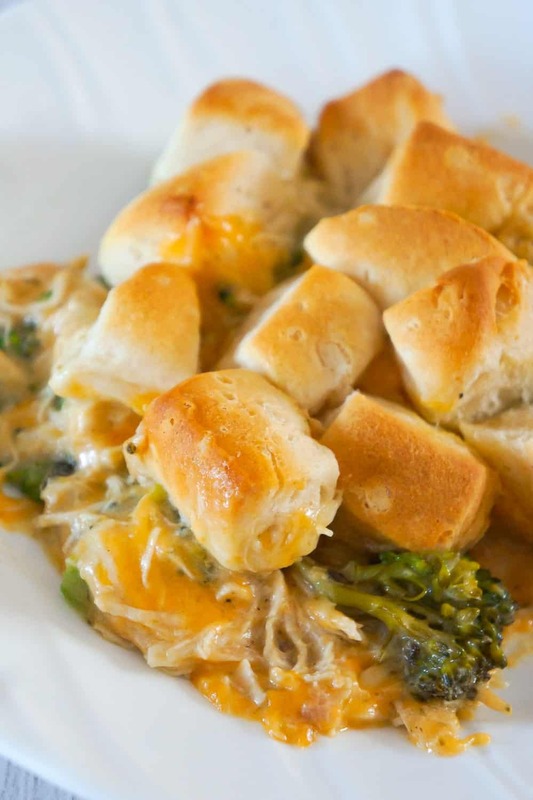 Chicken Casserole with Broccoli and Biscuits is an easy chicken dinner recipe using Instant Pot Shredded Chicken Breasts! 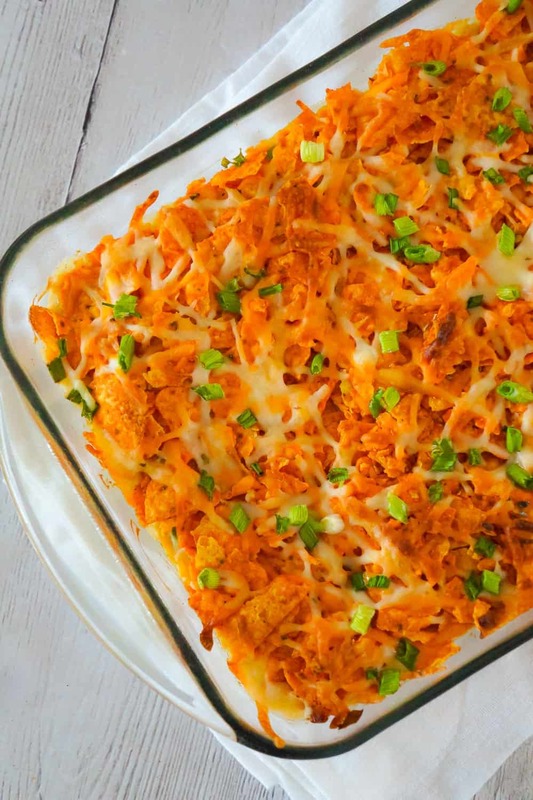 Doritos Casserole with Chicken is an easy weeknight dinner recipe using rotisserie chicken. 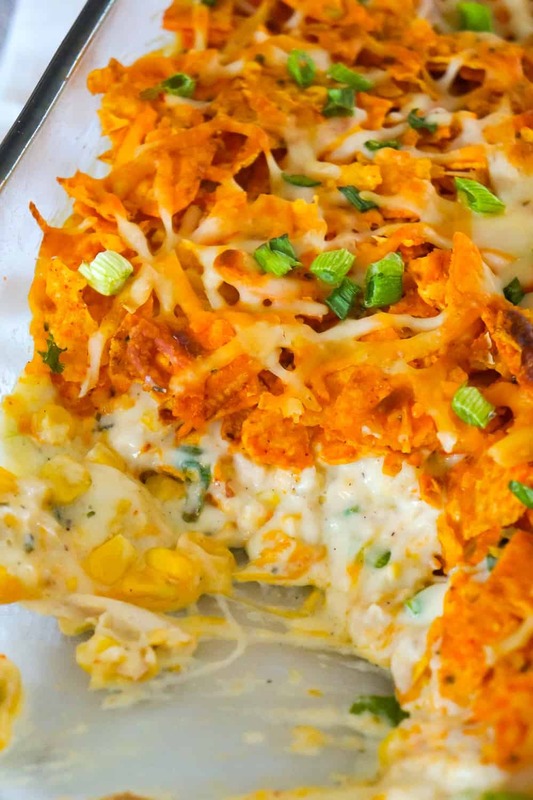 This creamy chicken casserole is loaded with cream cheese, corn, shredded cheddar and topped with crumbled Doritos. 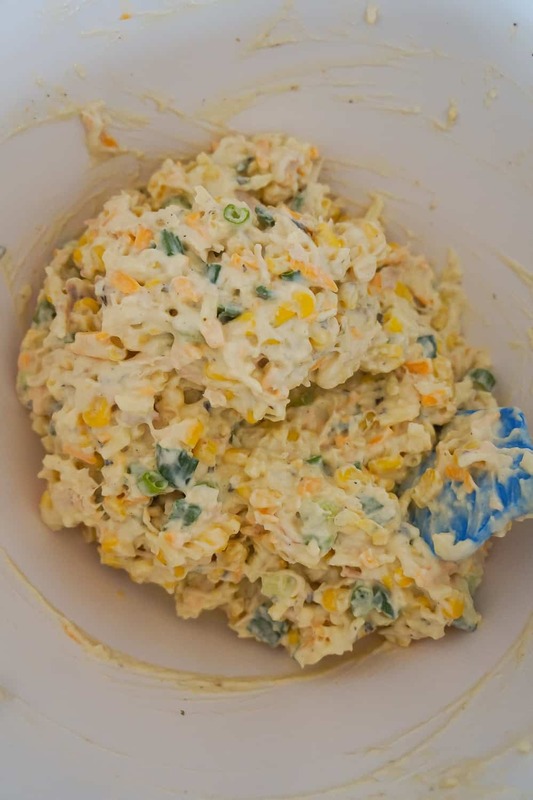 Dump cream cheese and chicken soup into a large mixing bowl. 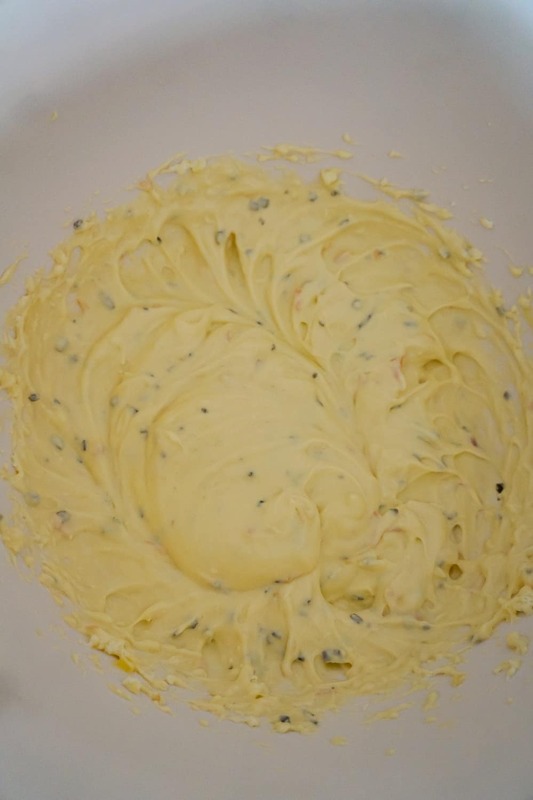 Whip together with an electric mixer until smooth. Set aside 1/4 cup of the chopped green onions and add the remaining onions to the mixing bowl. 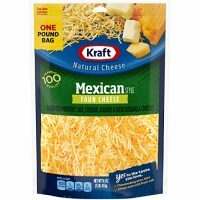 Also add the shredded chicken, drained canned corn, 2 cups of the shredded Mexican cheese blend, salt, pepper and garlic powder to the bowl. Stir all of the ingredients together until fully combined. 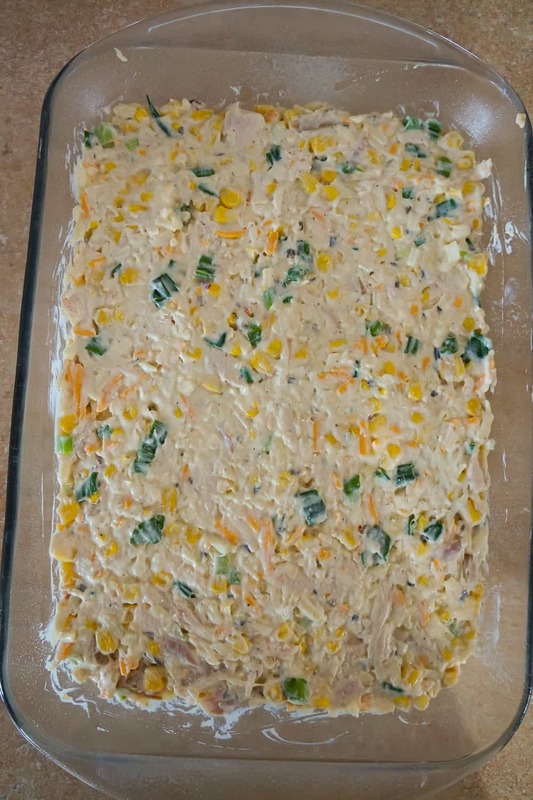 Dump the mixture into a greased 9 x 13 inch baking dish and spread it out evenly. 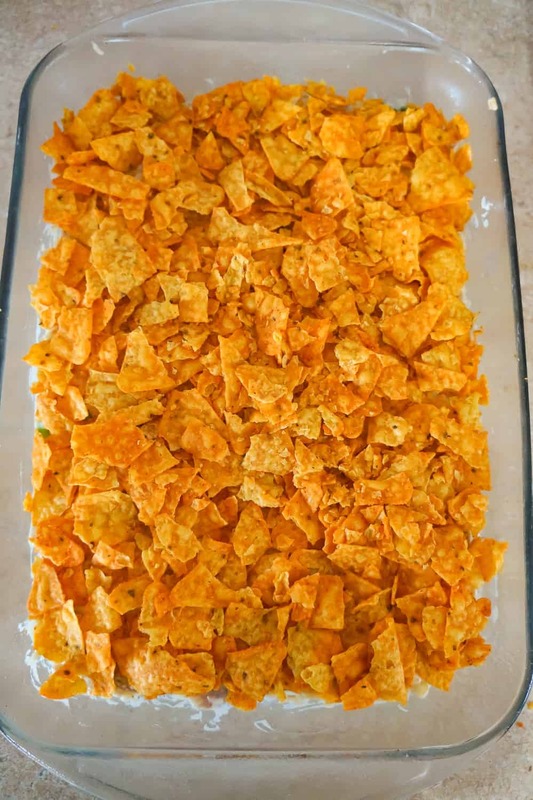 Sprinkle the crumbled Doritos on top. 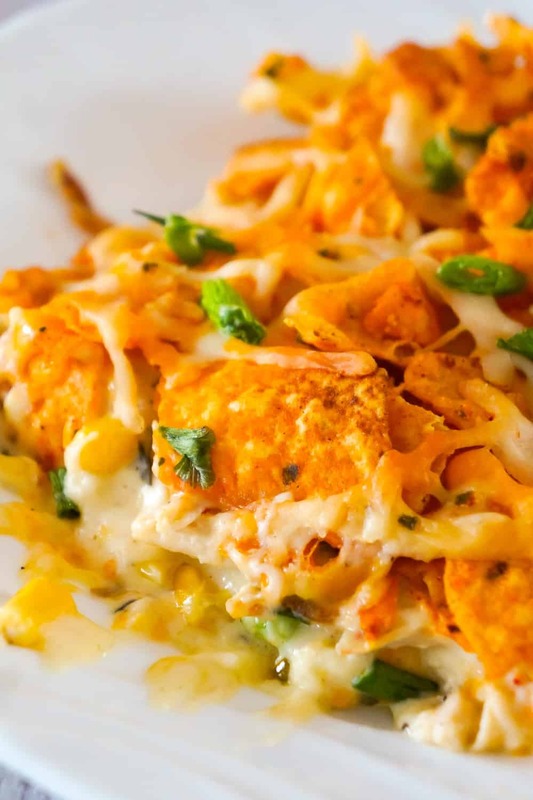 Sprinkle the remaining cup of shredded Mexican cheese blend and 1/4 cup of chopped green onions on top of the Doritos. 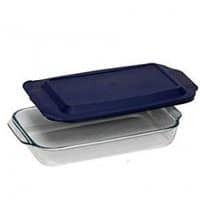 Place the dish in the oven and bake until the cheese on top is starting to brown. 17-20 minutes.